The installation of Jumping Profiles is quite easy. Just a small component is required on the Terminal Servers, named jptoolbox.ocx. This file is placed standard in C:\Windows\System32 and need to be registered regsvr32. If you do not have Microsoft Office installed on the Terminal Servers the files mscomctl.ocx en msstclfmt.dll needs to be copied and registered on the system. 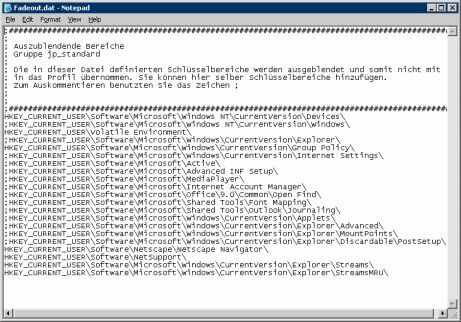 The last step is to put in the following executable \\servername\jumping profiles\jplogin.exe" into the usrlogon.cmd. The JPLogout.exe need to be added to a logoff script. Second you need a (fault tolerant) share where the configuration files and executables are stored, the default package can be just copied to this share. For this installation Jumping Profiles also made a installation executable to install the software on your environment. With this executable (or a small simple script) the Terminal Servers can also be installed unattended. All configurations are made in the created share. The configuration can be divided in two parts, saving and restoring the profile settings and configure all kind of settings in the profile concerning windows and application settings. Jumping Profiles is also working with registry keys in configuration files like Flex Profile Kit. However the way of thinking is exactly the same, the execution is the other way around. Where the Flex Profile Kit will save only the specified registry keys, Jumping Profiles saves all settings except the ones configured in fadeout.dat. The fadeout.dat can be compared with a kind of blacklist of settings, which may not be saved. Despite this size the profile file is just between 50kb and 400kb. Jumping Profile can save for example all kind of application settings, windows appearance/settings, environment variables, (root)certificates, mouse settings, and passwords. Besides saving the profile Jumping Profile can also set several settings on group membership (mainly based on registry keys). Think of defining group drives, file copies, printer settings and Windows and application settings placing those settings in a couple of files. One of the difficulties in configuration this standard settings for user is finding out where the change is saved in the registry. Jumping Profiles made a special executable to find that out for you. The program just works like Regshot; it compares the registry before and after the change and shows the changed registry files. 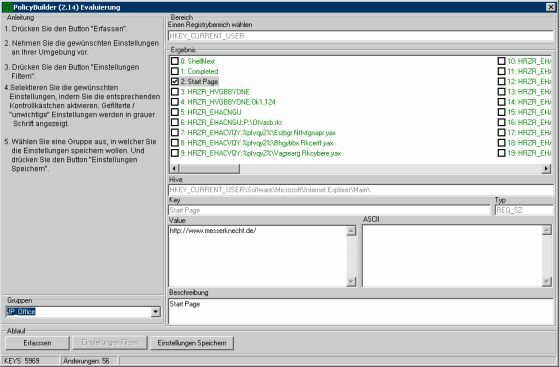 A advantage of this executable is that you can add a description and automatically add the registry key to the grouplogin.dat (the file where all configuration settings are stored in) of the chosen group. 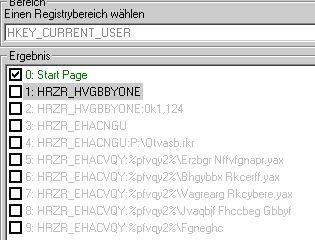 It also possible to add a filter to this executable so that frequently showed registry keys (which you do not need) are displayed in grey (as shown in the printscreen). Jumping Profiles only saves the changes which are made in profile during the session (the most other products will save all settings during logoff), so the logoff process is pretty short. Also this makes it possible to use one profile for several server groups or silos. Because only the changes are saved changes made on different servers are both available in the following session independent from which server the users logs off first or last. Of course changing a same setting on more servers causes that the setting will be saved from the last server logged off by the user. A advantage because it does not matter on which servergroup or silo a user logs on; his profile settings are always the same. Jumping Profiles also provides a tool called JPManager. This tool is GUI based and helps you viewing and editing the configuration settings like described above. Although is it possible to show users errors when something goes wrong, this is standard not activated (just like almost all profile products). Jumping Profiles has made a special executable to trouble shoot problems. This executable JPFreeze.exe needs to be assigned to the user (shortcut in the Start Menu for example) and the users need to have modify rights on the configured target directory. When the user has a problem you can ask him to start the JPFreeze application. This application "simulates" the logoff process and all settings and useful information are saved in the target directory, so you can trouble shoot the problem easily. Jumping Profiles developed a special tool for migrating to the user from roaming profiles to Jumping Profiles. JPTransplant.exe can be placed in a logoff script and saves the user profile settings in a special file. Using the jptransplant.ini the system administrator can configure which settings from the roaming profile needs to exported in the special file. This special file will be used the first time by JPlogin.exe to build up the Jumping Profiles profile in combination with the standard mandatory profile. Because Jumping Profiles save almost every setting (like the awesome windows appearance, mouse settings, etcetera) and same profile of every servers (despite of server group or silos) users do not notice that their settings are retained in some other way. Using the JPTransplant migration tool is also possible to save all current settings of the users, which will the implementation of such a tool a much easier. Jumping Profiles is exactly what you need if you are seeking for a "real" Profile Product. Jumping Profiles and the Flex Profile Kit both uses the same way of thinking about a solution for profiles, although the method of the products is exactly the other way around (but achieving the same wonderful result). Jumping Profiles was the first product who offers the awesome features like saving Windows appearance, certificates (even root certificates), mouse/keyboard settings and passwords. Because the product only save changes to the Jumping Profiles profile the same profile can be used simultaneously on more then one servergroups or silos without a problem. Also Jumping Profiles offers some nice additional tools like JPTransplant, Policy Builder and JPFreeze to make migration, configuration and trouble shooting easier. Jumping Profiles is together with the Flex Profile Kit one of the two best products available.